How long does it take to galvanize steel? Home/galvanizing, HDG Process/How long does it take to galvanize steel? Galvanizing leadtimes can vary depending on the time of year and how much demand there is within the industry, however most orders are completed within one week. 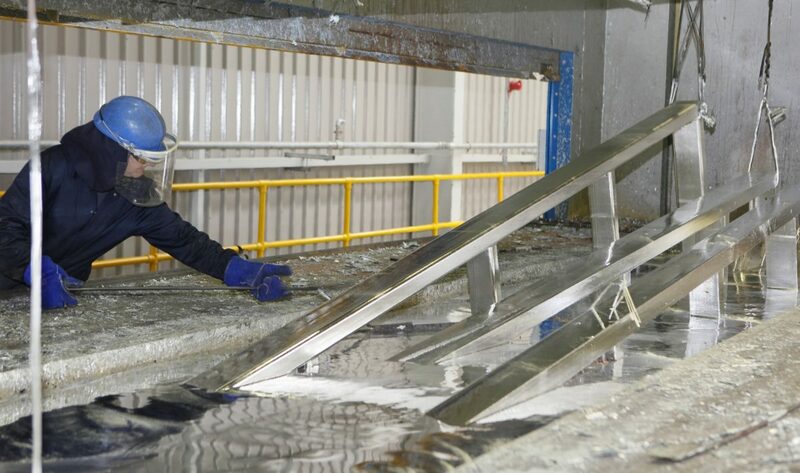 The actual process of Hot Dip Galvanizing takes approximately half a day from start to finish so small urgent items are often processed within 24 – 48 hours. In order to plan effectively we operate a Booking System. This allows customers the opportunity to pre-book their steel and agree delivery schedules. This eliminates any uncertainty and means that even the most demanding leadtimes can be met. In one recent project we were required to process 600 tonnes in ten weeks. We were able to programme three loads of 20 tonnes per week for the duration and ensured that the project ran smoothly from start to finish. We would ask that you take care to contact us at an early stage in the planning process so that we can advise you on suitable methods of design and fabrication. Many delays are caused by inappropriate design and a lack of understanding of the galvanizing process.